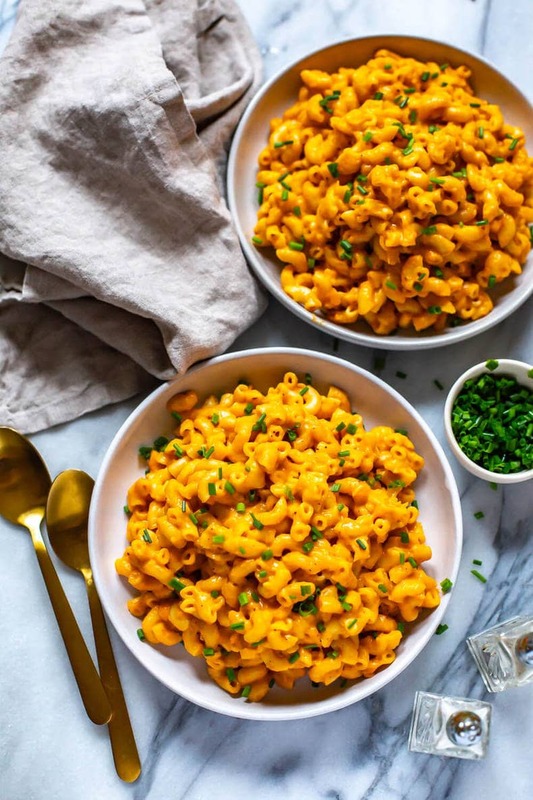 This Freezer-Friendly Instant Pot Butternut Squash Mac and Cheese is a delicious, fall-inspired twist on everyone's favourite comfort food – just add butternut squash puree, cheese and pasta! This post is sponsored by PC Black Label – thanks for supporting the brands that help keep my blog up and running! Ahhh, butternut squash mac and cheese how I love you. As a kid, I actually didn't really used to go crazy for mac and cheese if you can believe it! My mom made this baked version with breadcrumbs on top and I honestly don't know if it was the lack of creaminess (sorry Mom!) or if it was the breadcrumbs throwing off the texture for me but mac and cheese wasn't my thing. And I'm still picky about it to this day! 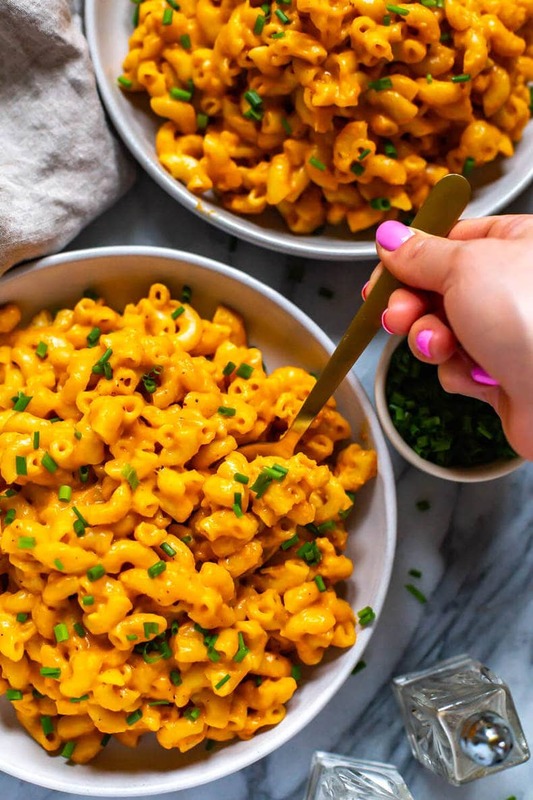 Believe it or not, I don't really care for mac and cheese unless it's made with butternut squash – call me crazy but it adds a delicious, creamy element that you just can't get with a traditional mac and cheese recipe. 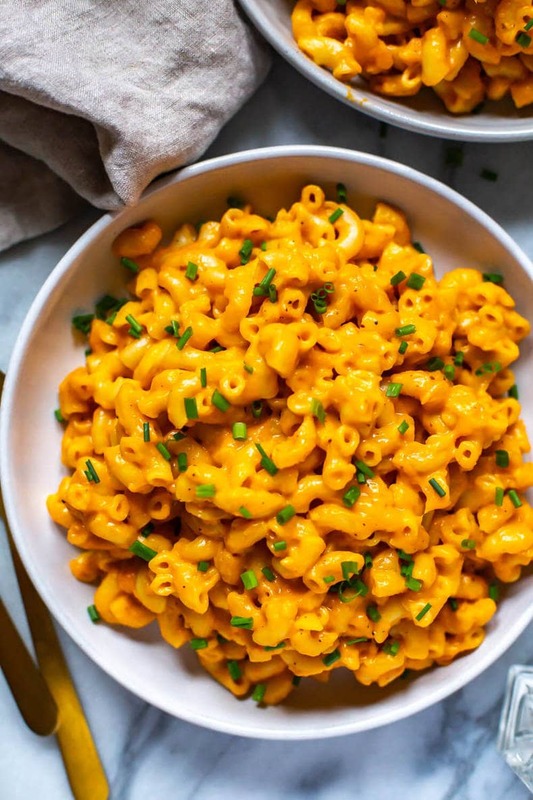 And of course the added bonus of blending in some squash is that you get in some extra nutrients and veggies, but you are also able to reduce the amount of cheese you put it in so you're making a calorie-friendly version of mac and cheese. 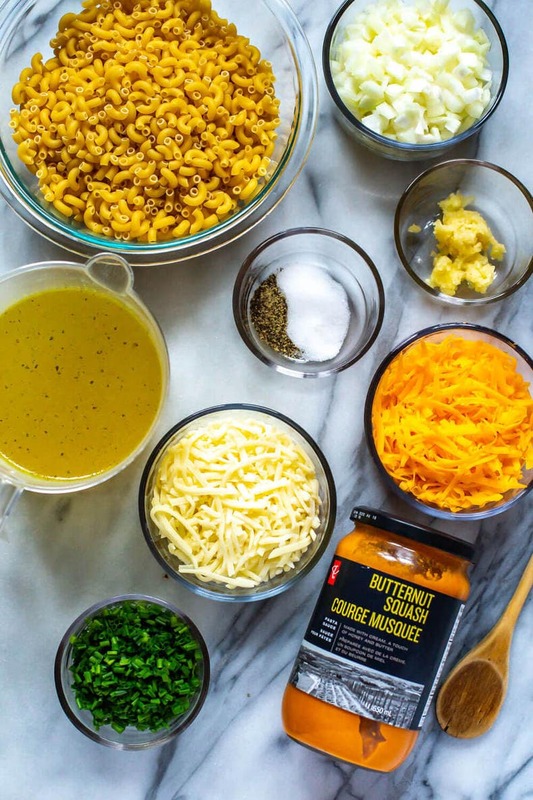 Butternut squash mac and cheese is not necessarily a new concept or anything, but today I'm bringing you a twist on it that's going to make your life easier AND incorporates one of my favourite brands to boot! 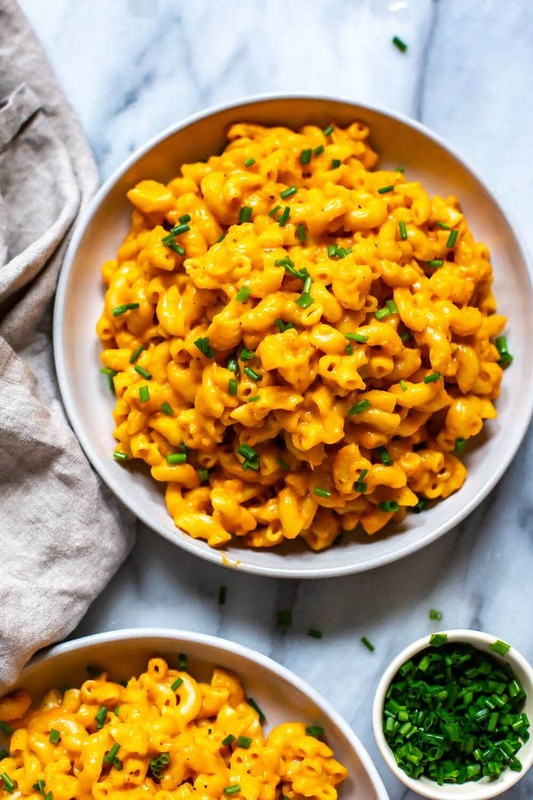 Instead of using traditional butternut squash puree in this Instant Pot Butternut Squash Mac and Cheese, I've used PC Black Label's Butternut Squash Pasta Sauce as the creamy base! 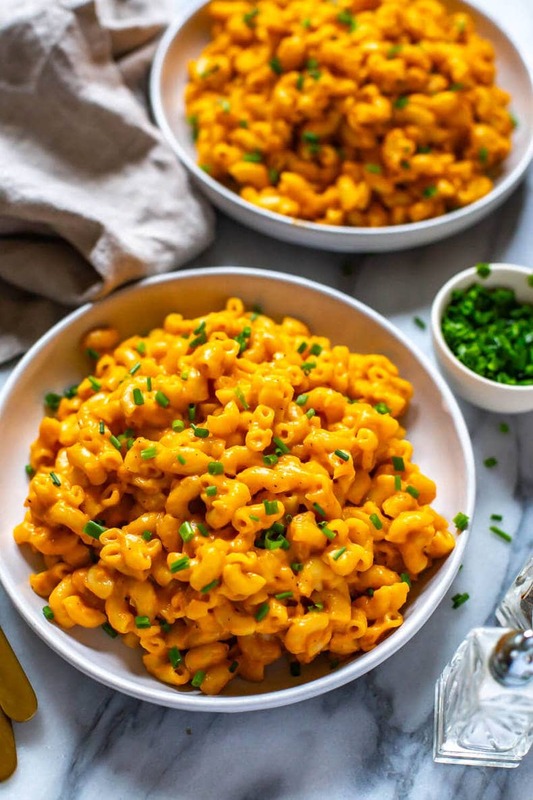 It's SO convenient and made up of whole food ingredients so if you don't have time to roast up some squash you can still enjoy the deliciousness that is butternut squash mac and cheese. I've been working with PC Black Label over the past two years to bring you some tasty recipes inspired by their high-quality products, which are inspired by busy foodies who love to cook! 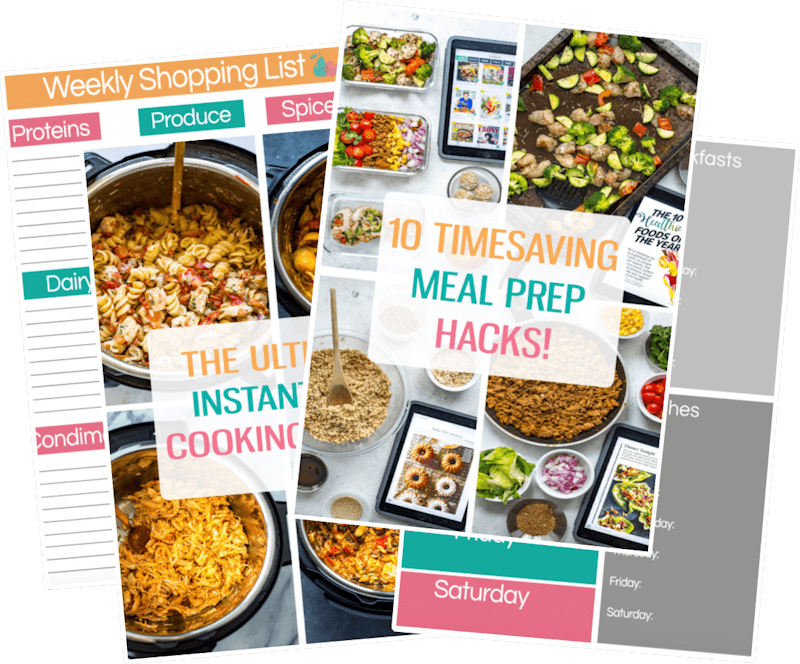 The #PlayWithYourFood campaign has been so fun to be apart of because it really speaks to my inner home chef, and their products make it easy to whip up delicious gourmet meals in a flash. Each month I receive a black box filled with ingredients to experiment with and I immediately knew I was using the Butternut Squash Pasta sauce to put a healthy spin on a classic comfort food dish. This month, I also received PC Black Label Kaffir Lime Leaves and PC Black Label Pure Maple Syrup in my PC Black Label black box, and I can't wait to put those to good use as well! Now for me, a good mac and cheese really depends on the cheeses used, even if you're using squash in this version to boost the flavour. Swiss cheese is key for creating that melty, ooey gooey texture and has more of a milder taste, while aged cheddar adds that familiar mac and cheese flavour that most people go crazy for. In a pinch you could use mozzarella instead of the Swiss cheese though – that's what I have on hand more frequently for things like pizza and other recipes. Fresh grated parmesan cheese and even a smoked cheddar would taste AMAZING with this recipe too so it's up to you to make it your own! Now you can make this Butternut Squash in the Instant Pot or on the stovetop – the Instant Pot of course saves time and is more of a true one pot method, but you can still make it in one pot on the stove as well. Essentially you will cook the pasta along with the garlic and onions in chicken broth, then stir in the butternut squash sauce (or puree if you're using a whole squash) and cheeses. It's really the easiest way ever to make mac and cheese and it saves you so much time and clean up. I wish I had found this jarred PC Black Label Butternut Squash Sauce earlier because I'd be eating so much more butternut squash mac and cheese by now instead of having to roast, puree and freeze butternut squash for future dinners like this. Another great thing about this Butternut Squash Mac and Cheese is that you can freeze it for up to 3 months and reheat either in the oven or the microwave. I'll always freeze in some foil containers like these so that all you have to do is pull an individual serving out of the freezer, pop into a 400 F oven for 30 minutes and serve. I also find that this mac and cheese reheats in the microwave really well if you sprinkle about a tablespoon of water overtop and microwave for 3 minutes, stirring halfway through. I'm not going to lie, I think I ate this mac and cheese every day for 5 days when I made it – there were no freezable leftovers to even be had in the end! 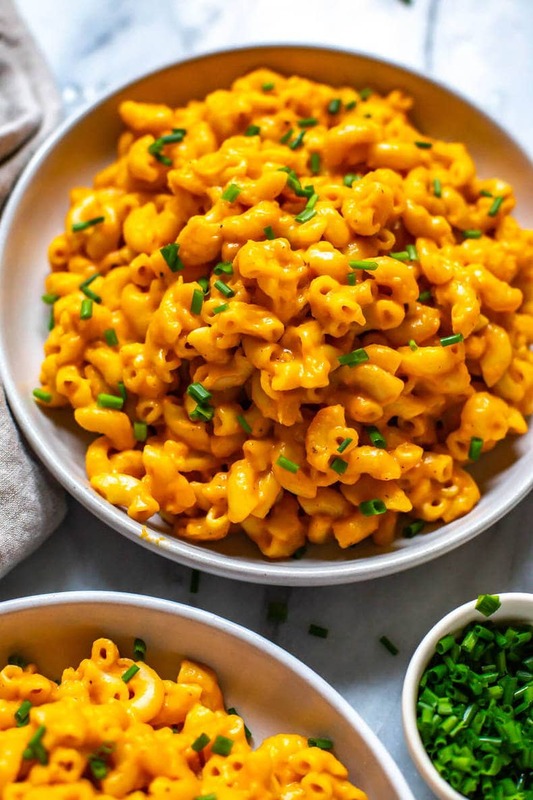 Will you be making this Butternut Squash Mac & Cheese? 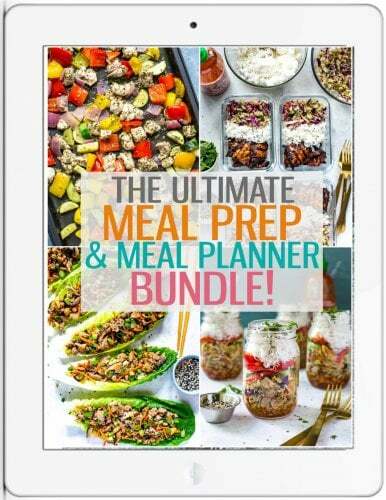 I think I'm going to start making all my freezer meals as delicious as this. Less food waste and more dinner deliciousness for the win! For more inspiration and for the full collection of products, visit pc.ca/blacklabel! 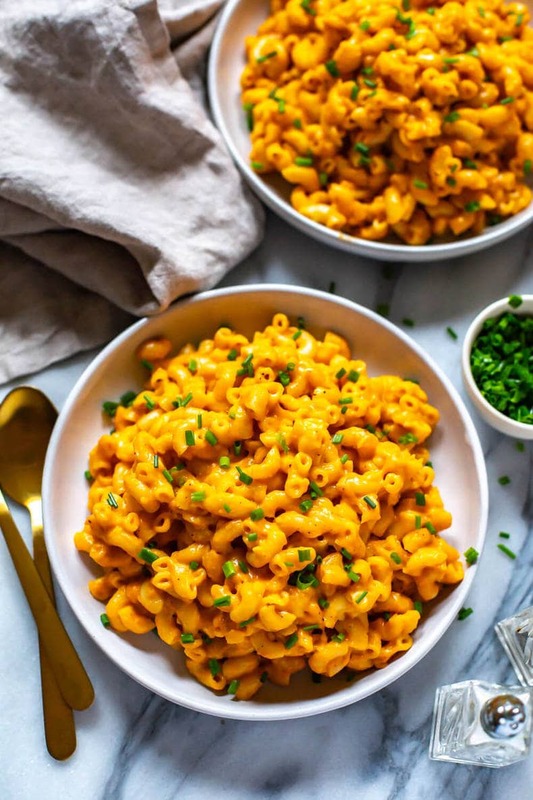 This Freezer-Friendly Butternut Squash Mac & Cheese is a delicious, fall-inspired twist on everyone's favourite comfort food - it's made with roasted veggies for extra nutritional value! Add olive oil, onions, garlic, salt & pepper, broth and pasta to Instant Pot in that order. Cook on high pressure for 3 minutes then do a quick release of pressure. Meanwhile, heat jar of PC Black Label Butternut Squash Pasta Sauce in the microwave for 1-2 minutes until warm. Open lid when safe to do so and stir in heated PC Black Label Butternut Squash Pasta Sauce (or warm puree) along with mozzarella and cheddar. Serve in bowls and garnish with chives, sage or thyme. Serve and enjoy! If making puree: peel and dice up 1 medium-sized butternut squash. Boil in 1 cup of chicken broth then puree with an immersion blender (or wait until slightly cooled and puree in a regular blender). Set aside 2 cups to use for the mac and cheese and freeze the rest. 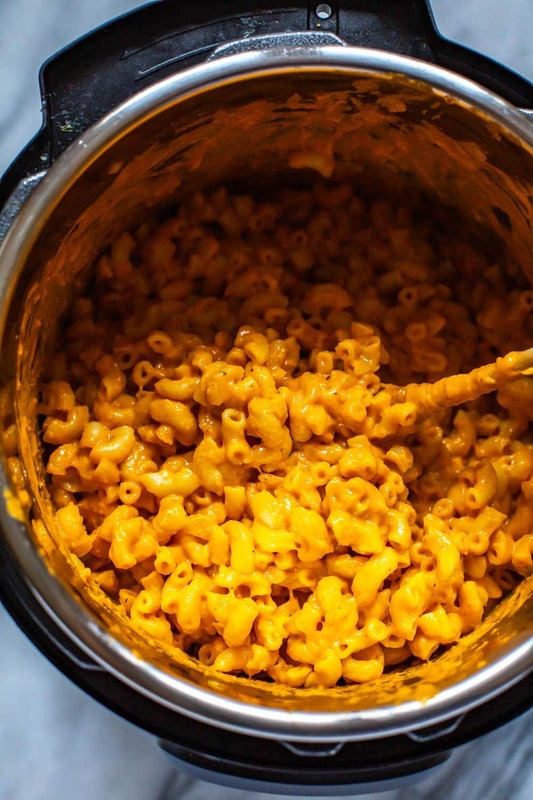 I love the bright color of this mac and cheese! It looks delicious! Suuuper tasty mac and cheese! I didnt know what to do when it came to roasting the butter nut squash but with some help from Google I figured out that you’re supposed to peel the squash and dish out the seeds prior to roasting. Next time I’ll add a bit more garlic and maybe melt the cheese so I can add it in my food processor with the squash to make the sauce a bit more creamy and consistent. Thanks for the awesome freezer friendly recipe! Thanks so much for the feedback Allysa, I’m so happy you loved this recipe!!! I’m adding your instructions on peeling/de-seeding to the recipe for clarification. I guess when you cook for a living you forget that not every step is straight-forward, hah! Thanks again for sharing and so glad you liked it! This looks super yummy and I like that I can sneak some extra veggies in it for the kids, I can’t wait to try it! ‘Tis the season for some good ol’ comfort mac n cheese for sure!